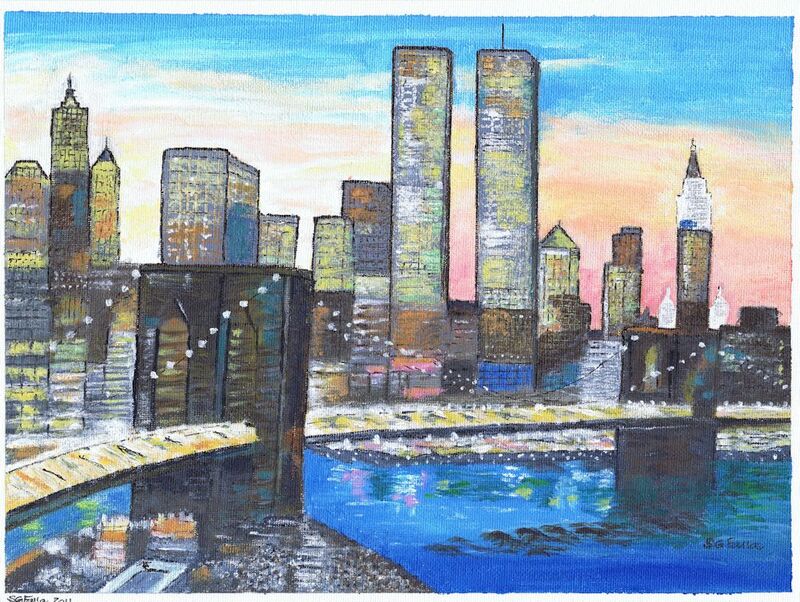 “City Scene” – Acrylic on canvas. Having watched Sue paint this I was struck with the confidence and speed with which she created it. It was part of a project given to us by our tutor, Tony Moss. We were to paint a “Urban Landscape”…….this was Sue’s excellent offering. 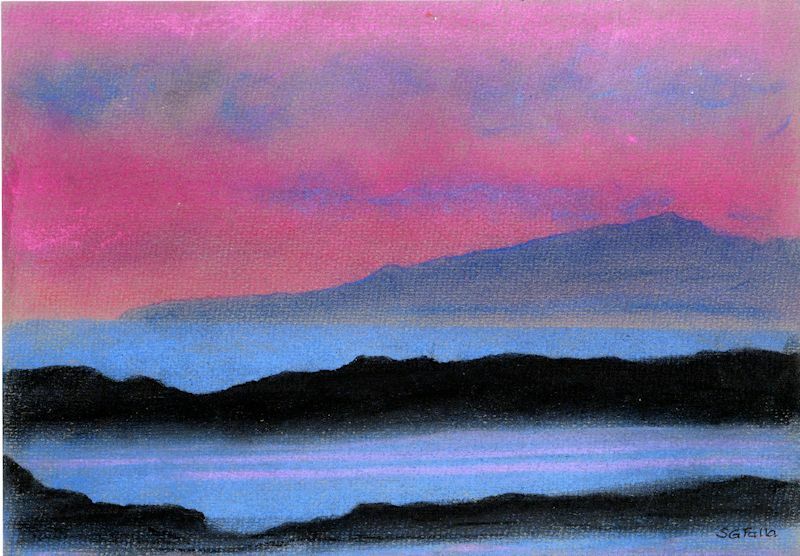 “Mountain Dusk” Sue has really captured the misty feel of dusk in this piece. The colours are vibrant and eye-catching and deserves to be in a good mount and frame. 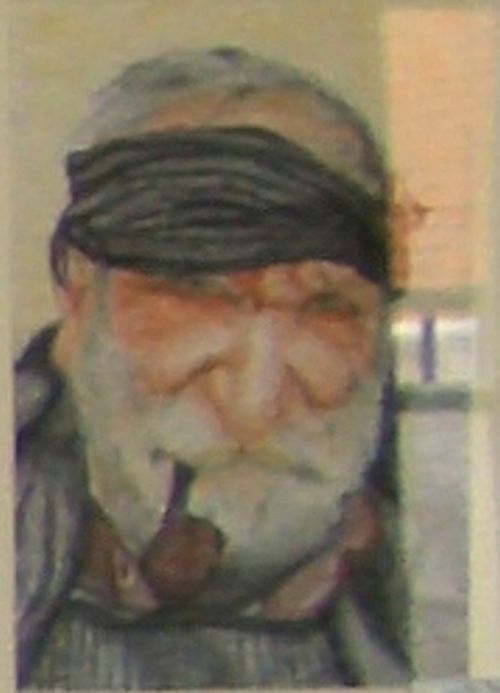 “Greek Granddad” – An excellent piece of art much admired by all that saw it at the Art Exhibition that WAG had at the Fun Day that WACO had in May 2010. It even attracted the interested of the local MP Julie Hilling. It was certainly one of my favourites. I like everything about it……the subject, the composition and the superb execution of it. 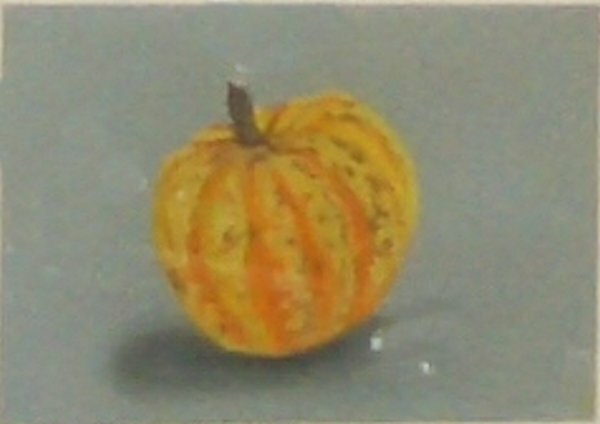 “Gourd” – This was another on display at the exhibition and also garnered lots of interest and was ultimately sold. This picture really does not do it justice. In reality it is approx 35cm x 25cm and has beautiful detail. I wrangled his image from some photos taken at the exhibition so the quality doesn’t really do the art justice.